This is a sponsored post written by me on behalf of Mondelēz International Group. All opinions are entirely my own. 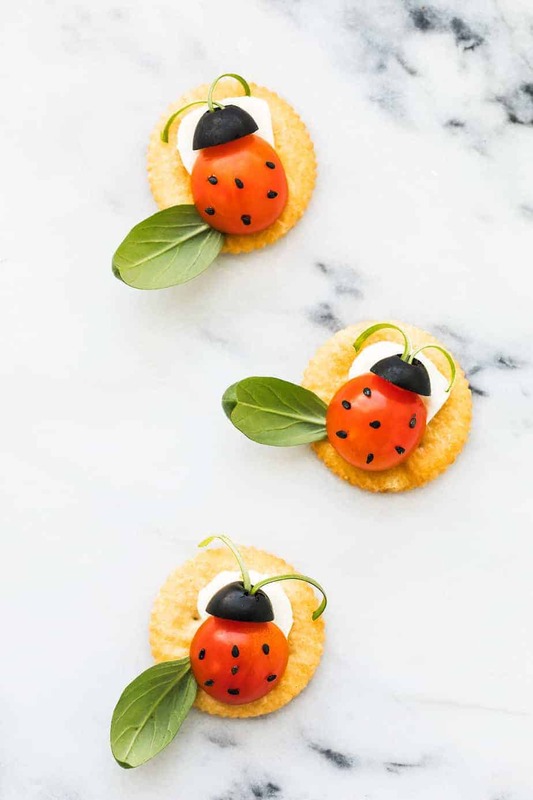 The recipe I’m sharing today is a RITZ Crackers Lady Bug, something that is adorably eye catching yet healthy and very refreshing to eat. I initially made these for my kids but when my husband got home from work and saw us making them he wanted in on the lady bug action. There’s a very polished look to this dish that doesn’t take a lot of effort, which is great for me as I can present an elegant, healthy masterpiece in just a few minutes time. This cute recipe is not only appealing to our eyes but also contains fresh vegetables, cheese and a bit of sweet, tanginess from a balsamic glaze. Fun recipes like these serve the purpose of encouraging our kids and husband to get involved in the kitchen. This is a great way to create a family moment, get inspired, be creative have some fun while getting my kids to eat more veggies! 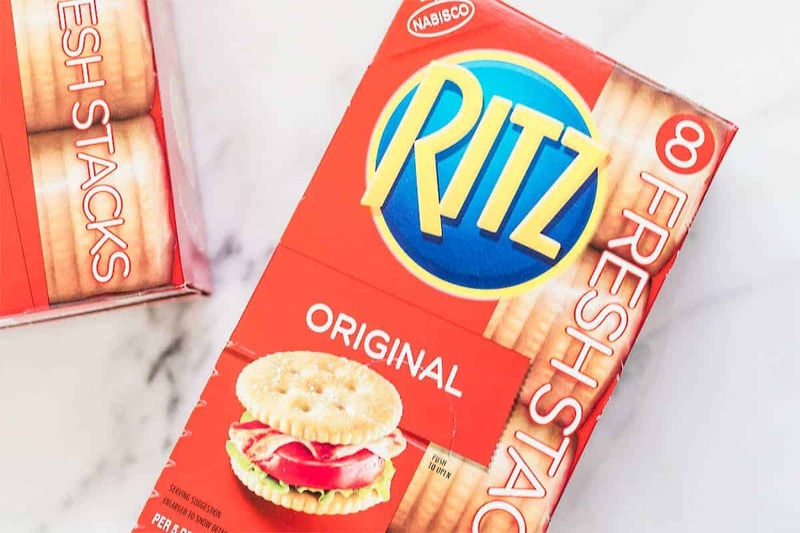 As someone who follows a lot of trends in food it’s cool to see that RITZ Crackers stays on-top with lots of new inspiration and creativity. Check out FamilyRITZpiration.com to get inspired, I sure was! You can pick up RITZ Crackers at your local Kroger store, which is what I did. Kroger is great as it can be a one-stop for all of the daily meals that I plan out for my husband and kids, yet still carries everything I need to pull off cool dishes like this one that stand out for my family or for guests on the weekend. I purchased the RITZ Crackers and all other ingredients to create this recipe at my local Kroger store (Ralph’s). If you do not live near a Kroger or Ralph’s store, I suggest checking out another Kroger banner store like Food for Less or Smith’s. I picked up an extra box of RITZ Crackers as I am always thinking up new ways to use them in recipes, or to stack up a few layers of goodness. This is the type of meal that my kids will want to eat a few times a week, and actually even want to help in making it. When I get my kids involved in the kitchen I glow with pride as a Mom who is doing something good for my kids. There are great lessons to be learned about making healthy choices and taking pride in your work. While making this recipe I told them about the benefits of some of the veggies they were eating, and also quizzed them a bit on some of the numbers (we’re working on learning about halves right now). Equally as important as their learning in the kitchen, it’s just a great place for us to unwind and work on something together as a family. I cherish those moments, they seem to be too rare these days! You don’t have to be an artist to create a little masterpiece in the kitchen. Even if you just made this for yourself it would bring a smile to your face and have you reaching for your camera to show off your creation. I hope you go forward with that as it really is very simple to make. Top each cracker with 1 EACH cheese slice and basil leaf. 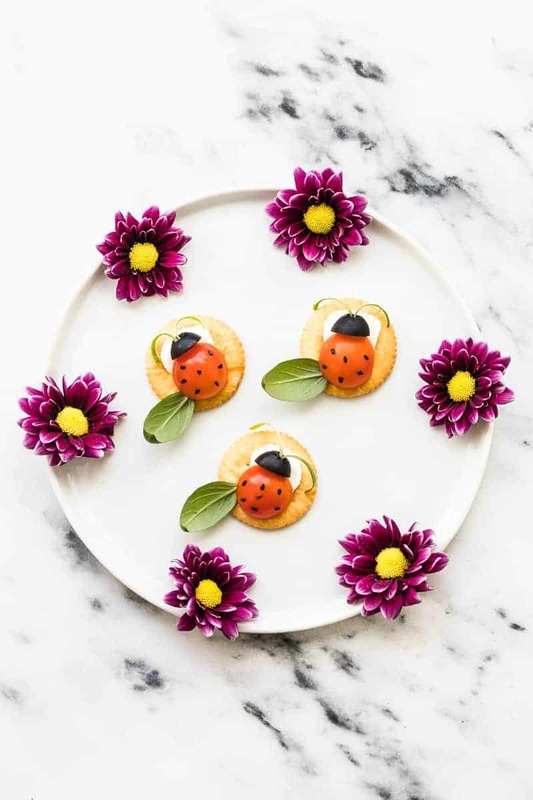 Decorate with tomatoes, olives and onions to resemble ladybug as shown in photo. Brush with balsamic glaze; sprinkle with sesame seed. Create Memories with Teddy Soft Bakes: Have Fun and Be Creative! These are so cute and easy to make. I will have to pick up the ingredients I need to make these on the weekend. I am sure they will be a big hit. 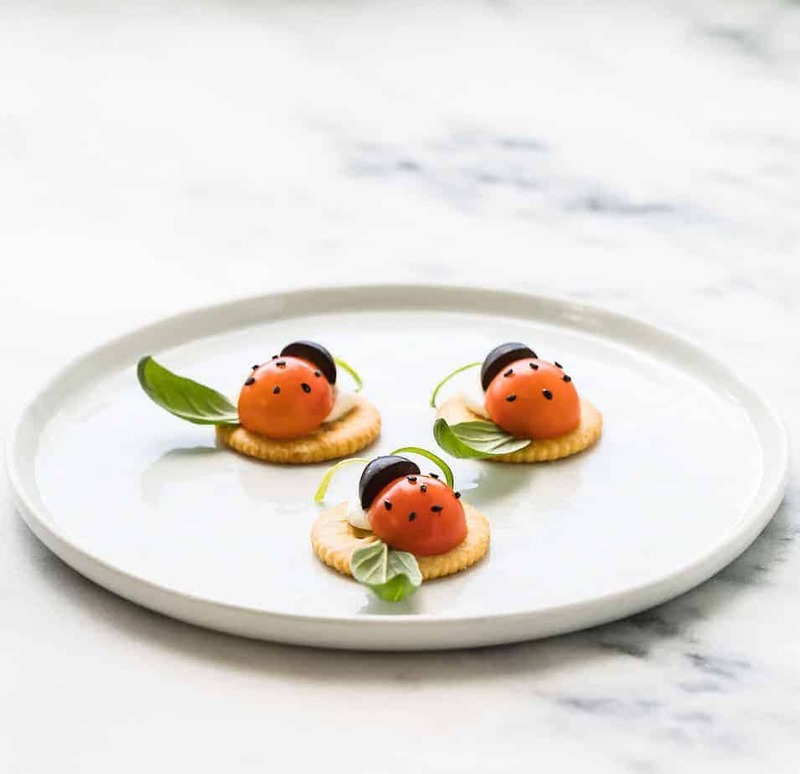 Those are the perfect appetizer for our spring party. Thanks so much for this great idea! Oh how cute! This is just a simple snack, but you made it so cute and interesting. I’m sure it was fun to make. Wow! These are so beautiful! They would look so cute on a veggie platter! I need to make these! We love RITZ but never did anything this creative with them. I have to say this is the most beautifully stunning way to use RITZ crackers I have ever seen! You did an amazing job! How cute it is. Really so. Like the idea! Wish I could have time to do it. My goodness! These are insanely adorable. This is such a creative use of crackers. My kids would love it. Those are so cute! What a creative idea. I would have never thought of something like this. Now I need to make some! These are just precious! What a fun snack to pack in a picnic basket! Those are super cute. 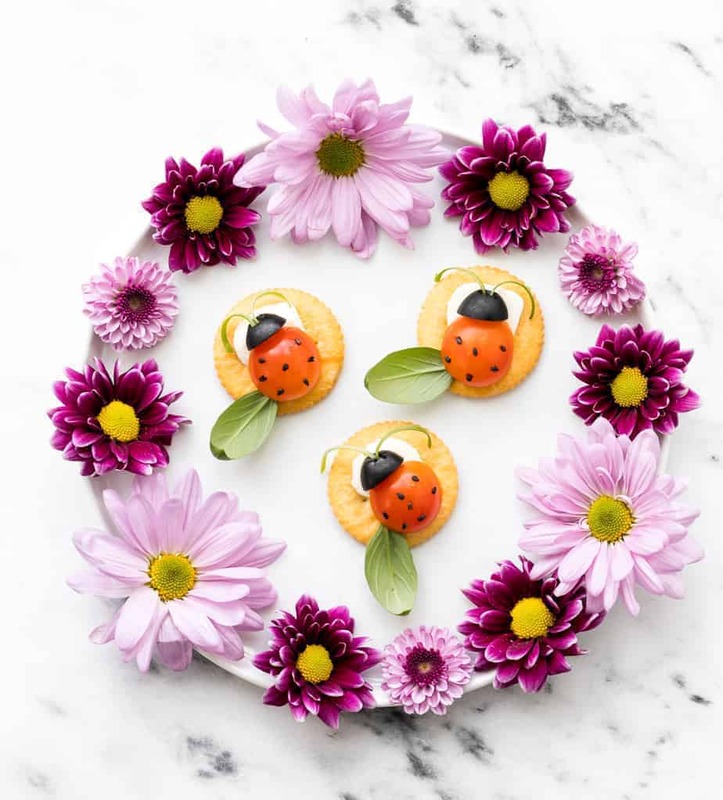 They would be perfect for a ladybug birthday party or a baby shower. We love Ritz crackers. These are so cute! We love Ritz and topped with something healthy makes it so much better! What a great idea for snack time! Omg how cute and yummy!!!!!! I bet my daughter would love to make these lady bugs with me!! Awe the ladybugs are adorable. I’d have fun making these. That’s a fun spring appetizer idea! The possibilities with Ritz crackers are endless!! They are my go to snacks. These are the cutest appetizers I’ve ever seen! !